Usher wedding duties are to assist the bridal party. As a guideline, you need one wedding usher to every 50 guests. Wedding ushers duties are to direct guests to the appropriate places, ensuring the ceremony runs smoothly. It's important to have at least two ushers for a wedding of 150 people. Their responsiblity is to perform the duties the bestman can't if he is to focus all his attention on the groom. Groomsmen sometimes double as ushers up until the ceremony starts. The groomsmen and ushers are the first to arrive, around 30-45 minutes before the wedding ceremony. A wedding usher may stand outside the church, greeting and directing the early guests to the appropriate seating and handing out programs or service notes and boutonnières for guests. - Groomsmen ushers assist and take directions from the best man. - Helps and assists the bestman along with the groomsmen. - There may be one or more ushers to a wedding depending on the size. - At least one usher arrives at the wedding venue before the best man and groom. - He hands out any service sheets etc. - Making sure everything is in place and correctly set up. - At the ceremony, one usher waits outside giving advice. - Directs guests to their appropriate seating at the ceremony. - Informs the groom, the organist and choir when the bride is arriving. - Stays at the back of the ceremony to direct late guests. - May be required to slip out during the service for errands. - Usher number 2, heads to the reception in advance to check welcome drinks and all arrangements are in place. - Usher number 1 stays behind ensures everybody knows the way to the reception. 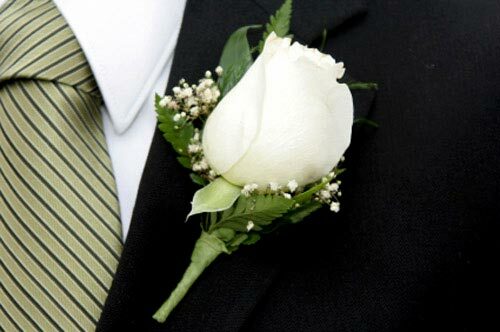 - He may hand out button holes for guests. - Co-ordinates photographer and guests to be photographed. - Making sure all guests have a drink and someone to talk to. - Directs guests to cloakrooms and bathrooms. - Ensures wedding gifts are appropriately placed. - Ensures bride and grooms wedding car is ready and packed. - Reminds people to take all their belongings at the end of the evening. - Checks nothing has been forgotten or left behind.